Located on Bronx Blvd between Rosewood St and Burke Ave just east of Bronx River Pkwy, Extra Space Storage serves Bronx residents near Williamsbridge, Norwood, Fordham Manor, Belmont, Allerton, and more! Locals will recognize our facility a few minutes north of New York Botanical Garden and Bronx Zoo near Rosewood Playground. Extra Space Storage is about 2.2 miles from Fordham University and 2.5 miles from Lehman College, making us an accessible option for college students who need summer storage or storage while studying abroad. 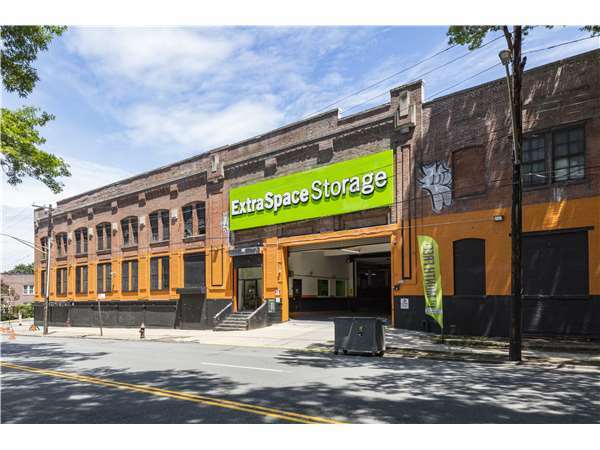 Extra Space Storage on Bronx Blvd offers a wide range of storage unit sizes, convenient amenities, and exceptional security, making us the affordable storage partner you need in The Bronx! Our Bronx storage facility offers indoor storage units as small as 16 square feet up to 200+ square feet. We can handle practically any residential or commercial storage need you have! At Extra Space Storage, we take the security of our customers seriously. That's why our facility is a locked-down site with 24-hour video surveillance and an on-site manager. It's the peace of mind you want. When you rent with Extra Space Storage, you know you're getting the best. We maintain a clean, secure facility at all times, and our friendly, professional staff is available to answer any questions and help you find the perfect storage solution for your needs. Contact us today to reserve a storage unit in The Bronx! Hi I don't like the fact that Extra Space storage did not inform me that my fee was going to go up this month and going forward. You guys say you sent a letter in the mail which I never rreceived,but didn't call or send a email stating this information. You guys know how to call and email me when the funds are due. I got no call or email stating that my fee was going up. Also when I called and asked a employee why my fee went up he couldn't answer my question. He said it has to do with corporate. Back communication and very back customer service. I would not recommend the place no my family or friends. I'm having trouble making a payment online. Other than that, the services and access at the facility have been great. The location is convenient. It is nearby a neighborhood subway station.